Geoffrey Krawczyk describes his Focus project for the Concept/OK: Art in Oklahoma exhibition as “part dinner party, part political action” Breaking Bread is a performance that involves confronting different social, political, and cultural issues facing the Native and Non-Native communities of OK today through cooking and eating of food. Growing up in a family with a disabled veteran gave him an interest in the nature of sacrifice and violence and would greatly influence his art practice. In 2006, he completed his BFA at the University of Oklahoma and received his MFA in Visual Studies in 2010 from the State University of New York – Buffalo. His work has been shown in numerous galleries and locations throughout the world. Geoffrey is currently Assistant Professor of Art at Southwestern OK State University and resides in Norman. Read more in this Art Focus Oklahoma magazine article about the Focus artists. The Concept/OK: Art in Oklahoma exhibition opens December 16, 1-5 pm at the new Tulsa Arts and Humanities Council’s Hardesty Arts Center. Through a partnership with the Charlotte Street Foundation, the Focus artists will also present their work at the La Esquina gallery in Kansas City. See www.concept-ok.org for more information. Spanning the second floor windows of the gallery, romy owen’s photo-based installation for the Concept/OK: Art in Oklahoma exhibition will create a panorama-style landscape. The installation, entitled A Bright Golden Haze on the Meadow, is composed of fragments of different photographs she shot that are sewn together. “I feel disconnected from nature, and I sense I am not alone. I am surrounded by plastic, glass, steel and concrete. I spend more time in front of a flickering screen than I do outdoors,” said owens. 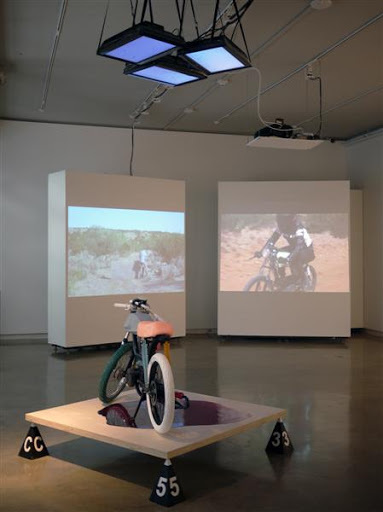 owens is an Oklahoma City-based artist owns has been featured in five solo exhibitions in addition to dozens of curated and juried group exhibitions. She also has curated more than a dozen group and solo exhibitions. She graduated from Oklahoma City University with a MA in Photography in 2005. 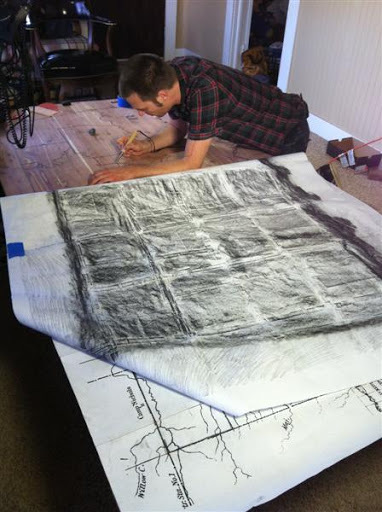 Through September 2013, owens will be the Artist-in-Residence at the Skirvin Hotel in Oklahoma City. She prefers her name not be capitalized. 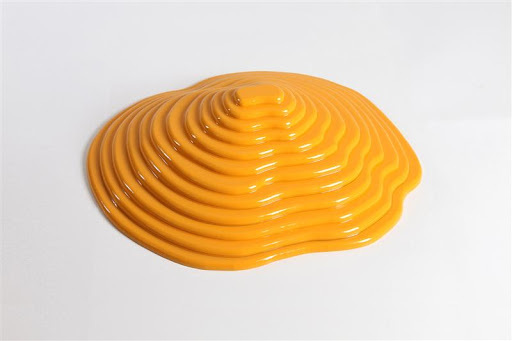 Fabricated sculptures of melting cheese and piles of candy make up Aaron Hauck’s Concept/OK: Art in Oklahoma exhibition Focus project. Hauck’s artwork marries technology with craft of modernist sculpture with an absurd aesthetic. “My work represents my trepidation with consumerism and how it has affected American culture and environment.,” Hauck said. Hauck works in northeast Oklahoma, living in Afton. He holds an MFA in sculpture and has served as an art professor at East Central University since 2007. His primary interest lies in the relationship between consumerism and the effects it may have on the environment and culture. His work has been exhibited nationally and internationally and was recently featured in a group exhibition at Benrimon Contemporary in Chelsea, NYC. In 2011 his work was a part of Art 365 organized by the Oklahoma Visual Art Coalition. For an international biennial and the Concept/OK: Art in Oklahoma exhibition, Grace Grothaus has developed an A.R. 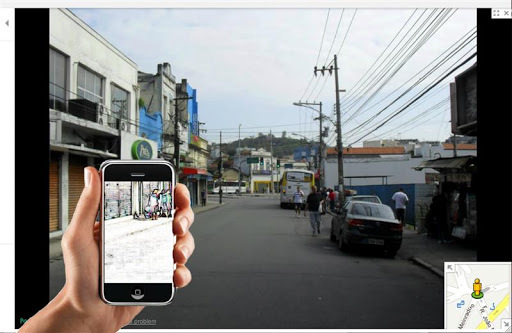 (augmented reality) smartphone application with her mixed media and painted landscape images. The app is designed to replace the digital representation of an image as captured through our smartphone cameras with her painted version of the scene. Visitors to the exhibition may take a tour of the neighborhood with their own smartphones or a printed map to view the pieces. “In our lifetimes an indelible shift from raw life to life virtually interpreted has taken place. This situates us at a liminal moment in history. The city, being a physical manifestation of our collective aspirations and our digital tools, is beginning to reflect these shifts,” Grothaus said. Grothaus has been exhibiting multimedia art for over a decade. She has received grants & awards from the Oklahoma Visual Arts Council, the Kansas City Art Institute, and the National Foundation for Advancement in the Arts. Her work has been featured in This Land Press, OETA, and Yahoo.com. This year marks her first International exhibition, the World Creativity Biennale in Rio de Janeiro, Brazil. She is represented by the MA Doran Gallery and JRB Art at the Elms. What excites Grothaus most about her artworks are their ability to speak about the complex and beautiful world around us. Gregory Ruppe queries how memories and cultural norms imbue inanimate objects for his Concept/OK residency project, Things will never be the same. Working with sound, video and multiple media, Ruppe will present a dramatically altered piano. 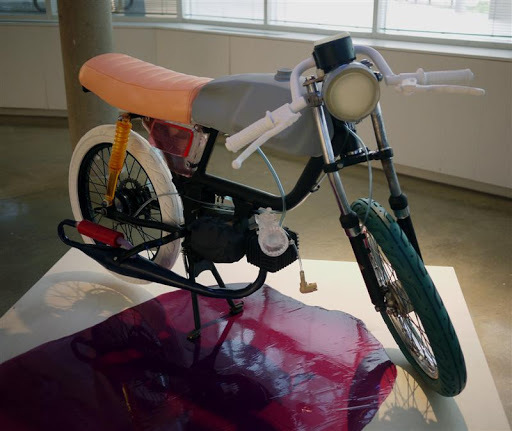 In his MFA exhibition at Texas Christian University earlier this year, Ruppe culminated a yearlong project where he documented and modified his beloved motorcycle. In this, he grappled with questions control and our relationship to the past and present like he will in the Concept/OK project. Guest curator Alison Hearst recruited and is working with Ruppe. 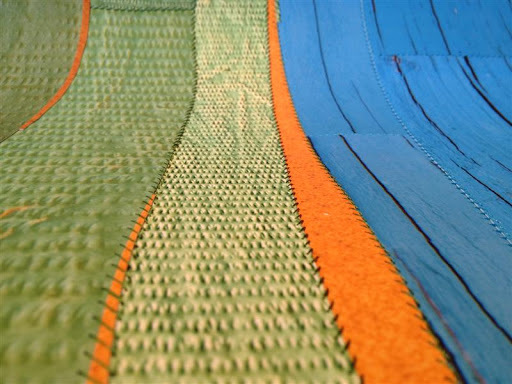 Ruppe utilizes a broad range of media and materials, video, and sound to create installations and project-based works. 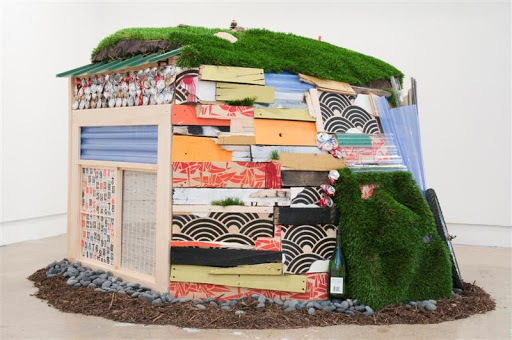 He has exhibited regionally and internationally, most recently at Nasher Sculpture Center (Dallas) and in Hiroshima, Japan. Ruppe is also a founding member of HOMECOMING!, an experimental artist collective based in Fort Worth, where he currently lives and works. 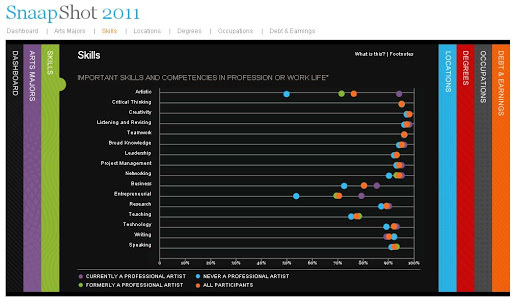 See Strategic National Arts Alumni Project 2011 Snapshot. The Strategic National Arts Alumni Project (SNAAP) I introduced yesterday is not just relevant for those considering art degrees as it also examines the satisfaction rates of artists and helps us consider definitions of success. Must artists work full time as artist to be satisfied? This research clearly shows not. Over 87% of arts alumni are somewhat or very satisfied with the job where they spend the majority of their time which may or may not be as a professional artist (see 2011 annual report page 16). Meanwhile, 72% of art alumni still make or perform art in their personal time. Interestingly, between 10% and 20% of all art students do not plan to pursue art as a profession as they begin their studies. We should encourage artists, students and art educators to learn though this data, allowing us to demystifying futures in the arts and advocate for arts education. Many myths surround aspiring art majors, full of bleak futures and overwhelming student debt. Meanwhile, the Strategic National Arts Alumni Project (SNAAP) paints a picture gainfully employed and satisfied individual artists. As we work together to improve artists’ fulfillment with their practices and overall prospects in our state, this new data helps give a framework for the value of arts education. 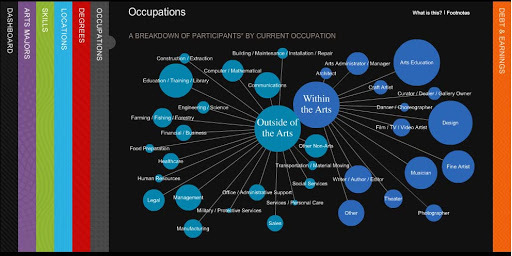 SNAAP, out of the Indiana University Center for Postsecondary Research, gathers detailed information from art majors across the country to better understand art major’s career paths and satisfaction rates. More than 33,000 arts alumni have taken the survey, which focused on an expanding number of art schools and departments. Schools, parents, students and our community can advance the importance of the arts with this information. With dramatic changes in education systems and careers in the arts, this research outlines more contentment than I would have anticipated from art majors. For instance, 77% say they would go back to their degree-earning institution. See the snapshot of 2011 information for more interesting facts.